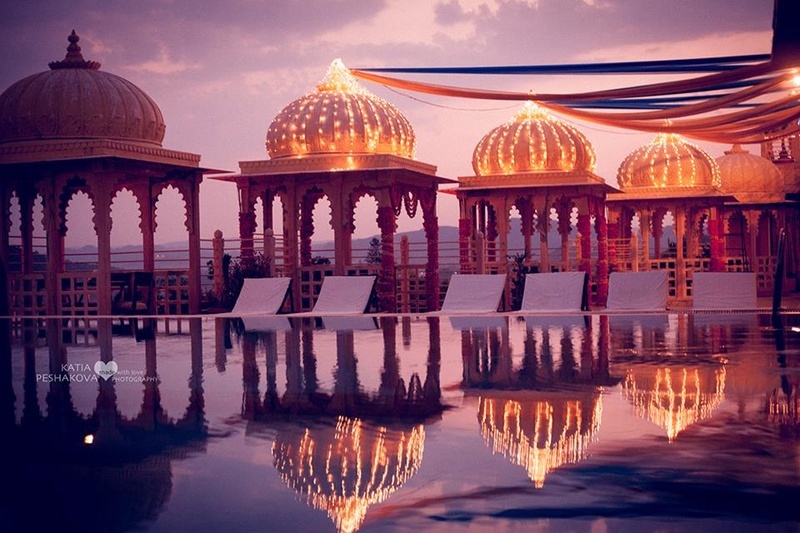 This wedding took our breaths away with all its ethereal beauty. 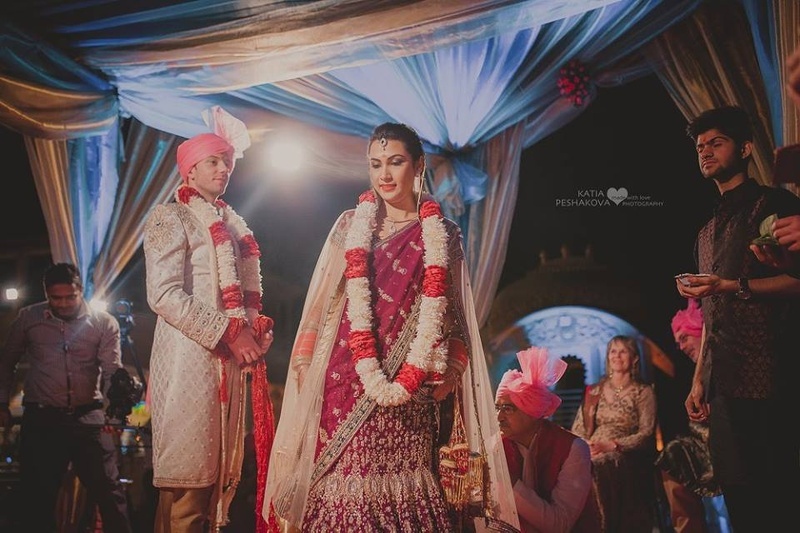 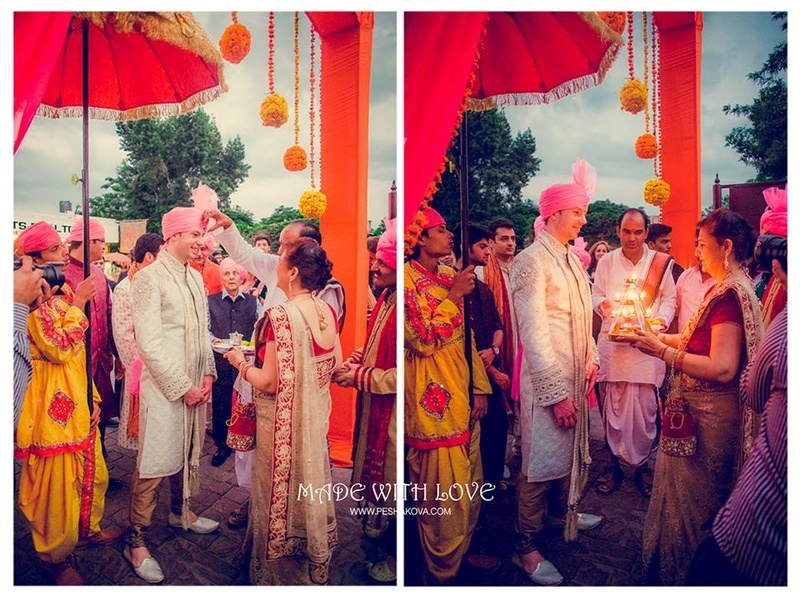 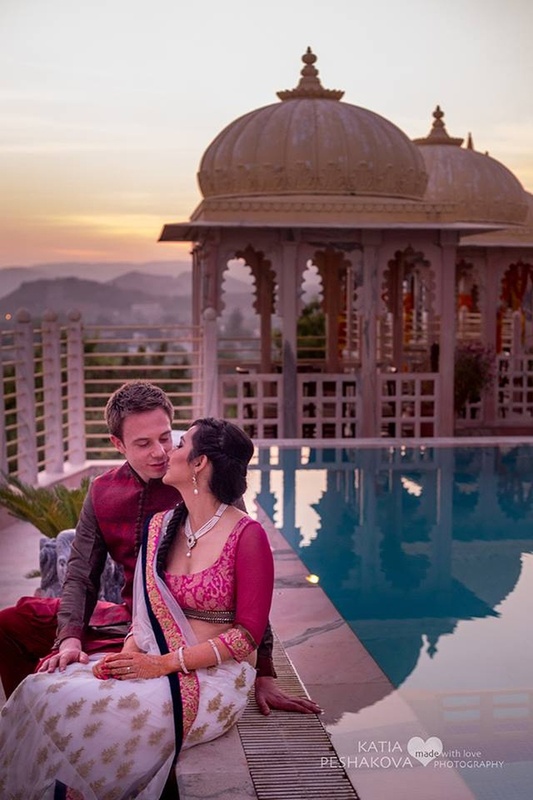 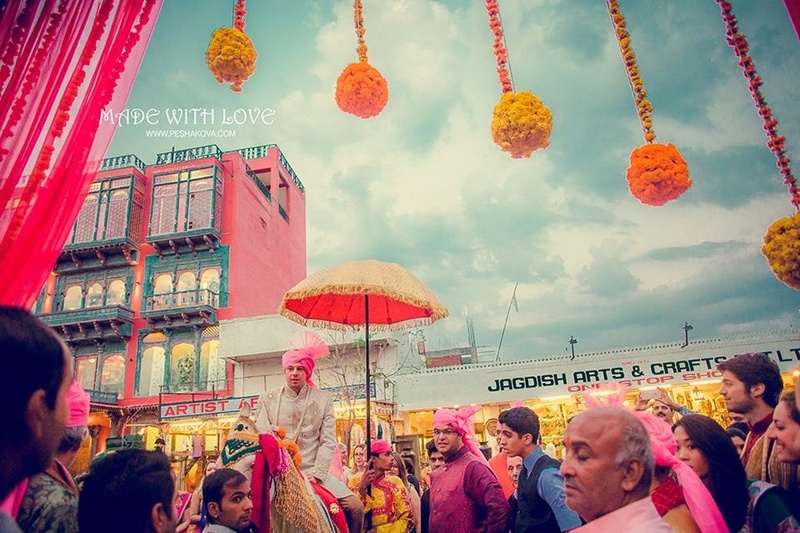 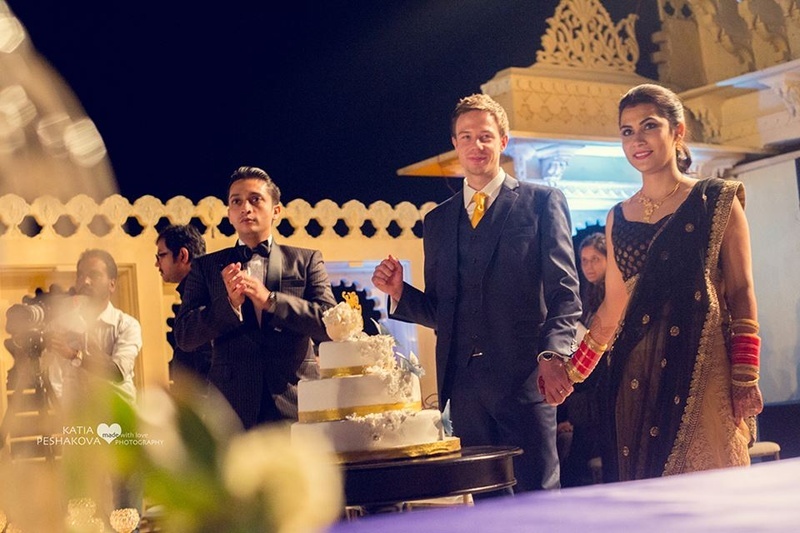 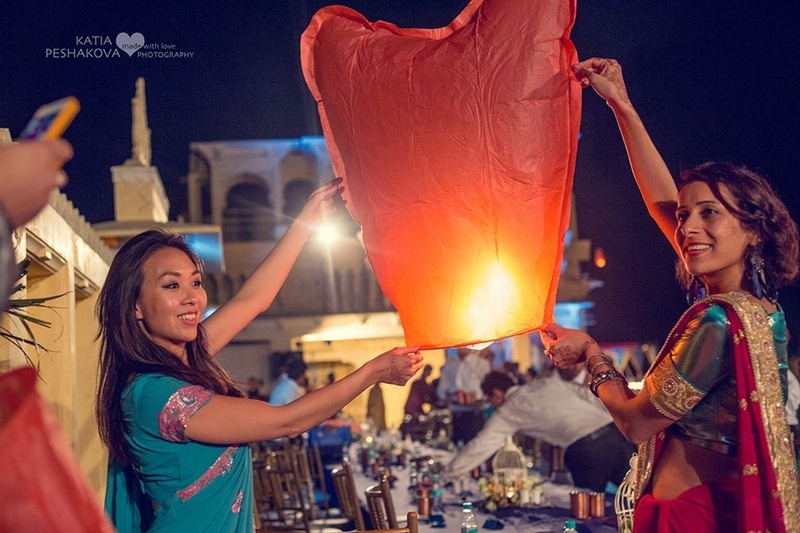 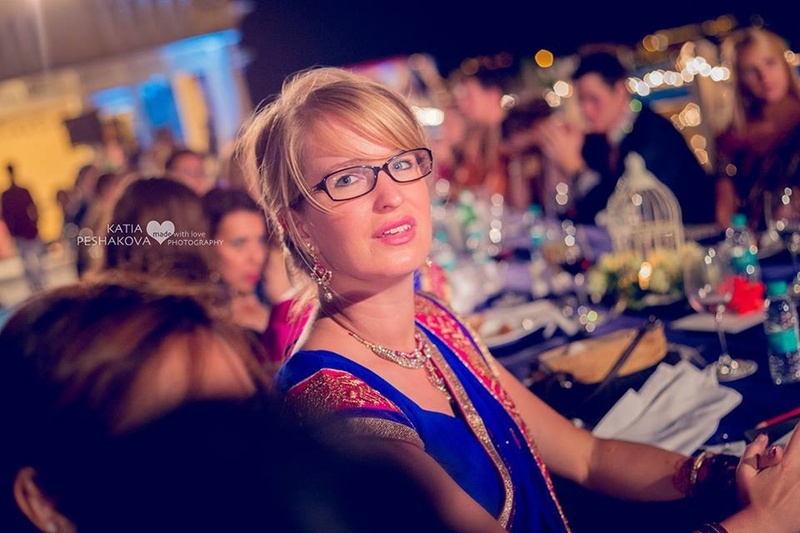 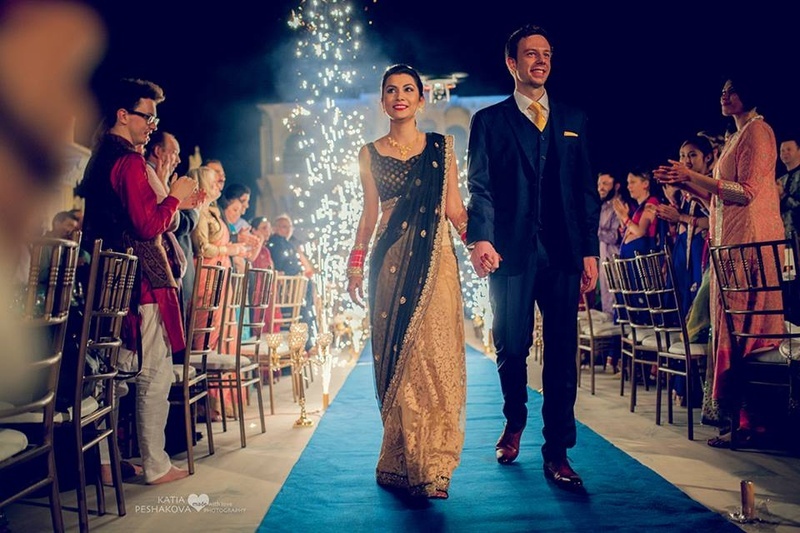 Jacob and Swati's cross cultural wedding at Chunda Palace, Udaipur took our breaths away with all its ethereal beauty. 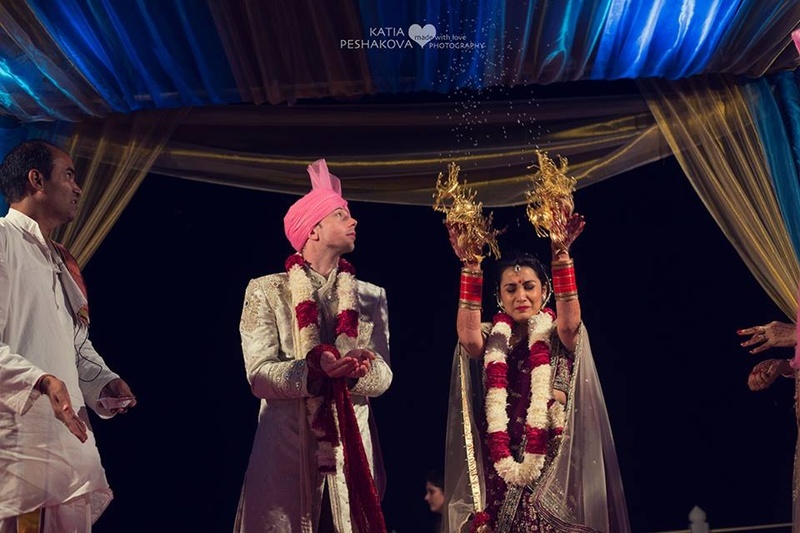 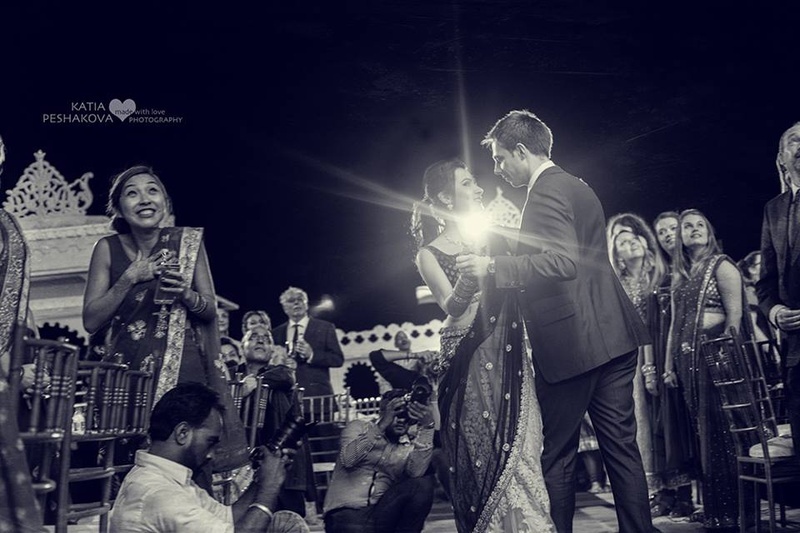 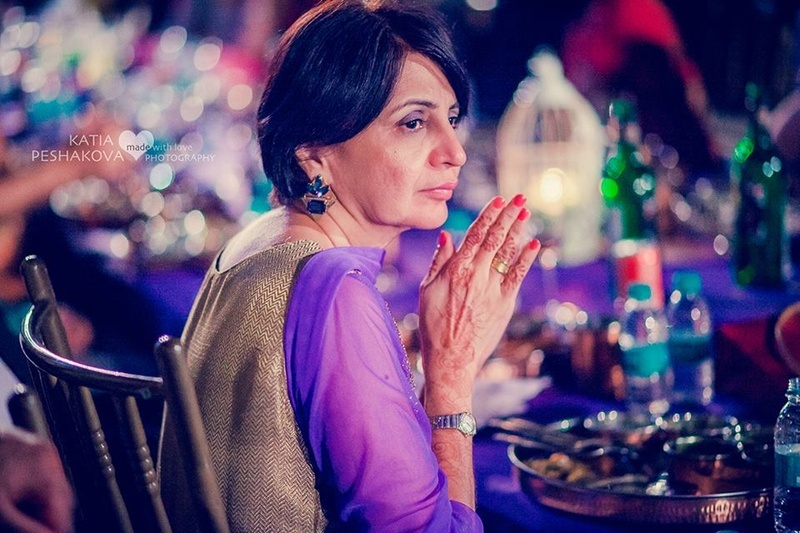 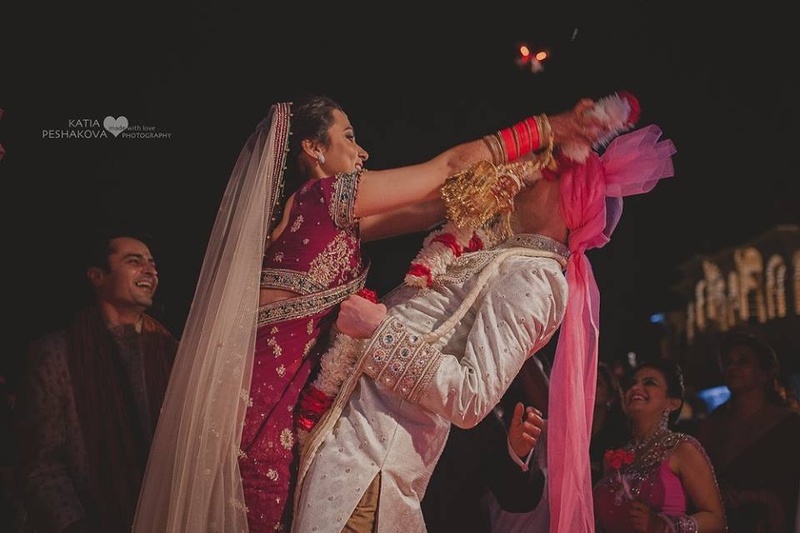 Kudos to Weddings by Katia Peshanova for capturing brilliant candid and love-filled wedding moments. 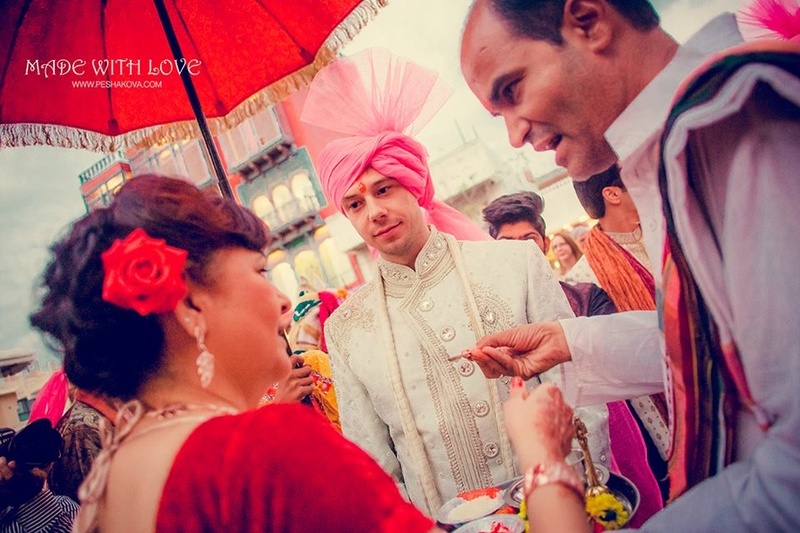 Look out for how drapper our groom looked in Indian ethnic wear! 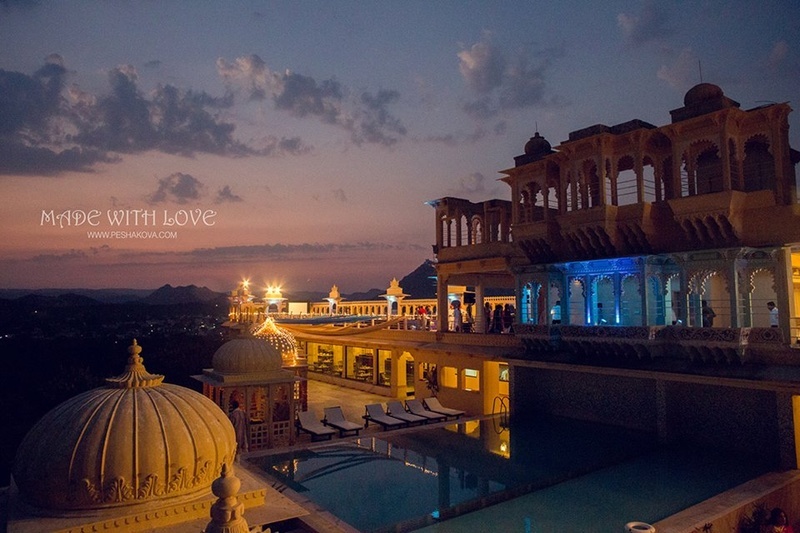 Swati and Jacob's Fun Filled Wedding at the Chunda Palace, Udaipur - The Teaser from phototantra on Vimeo. 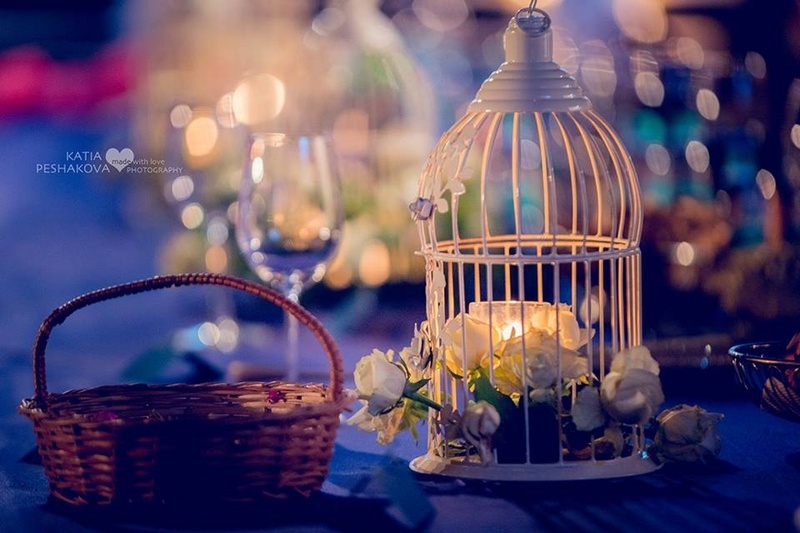 Destination pre wedding shoot by Katia Peshakova. 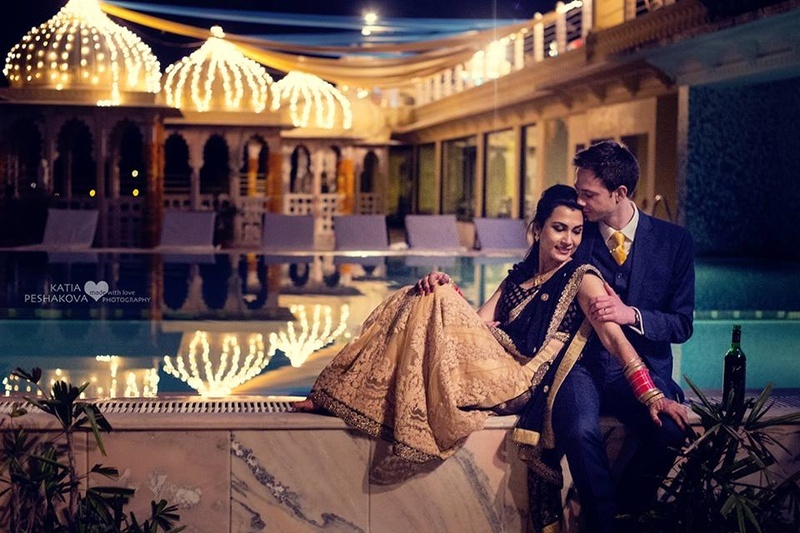 Jacob and Swati's pre wedding shoot held at Chunda palace, Udaipur. 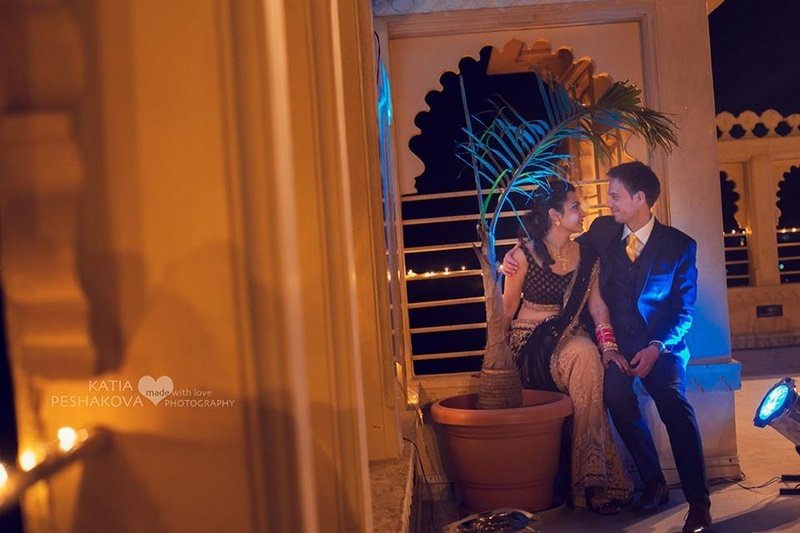 Wearing color coordinated outfits for the destination pre wedding shoot held at Chunda Palace, Udaipur. 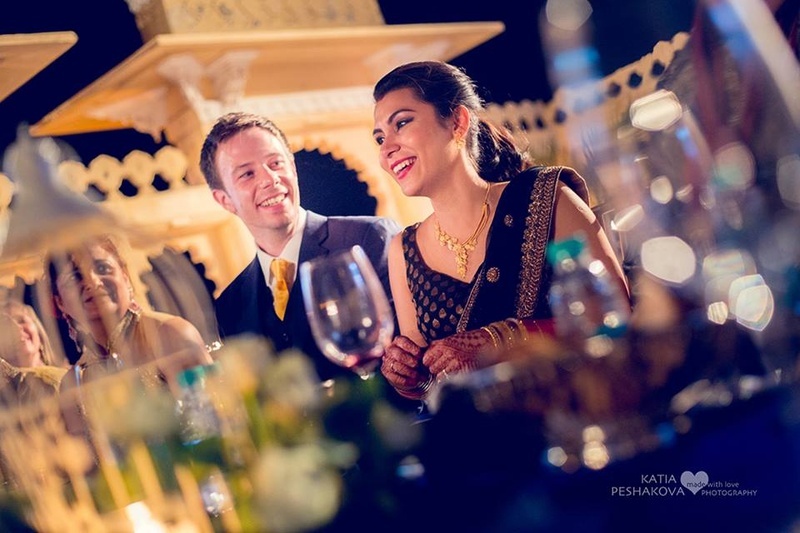 Brilliant couple photography by Katia Peshanova. 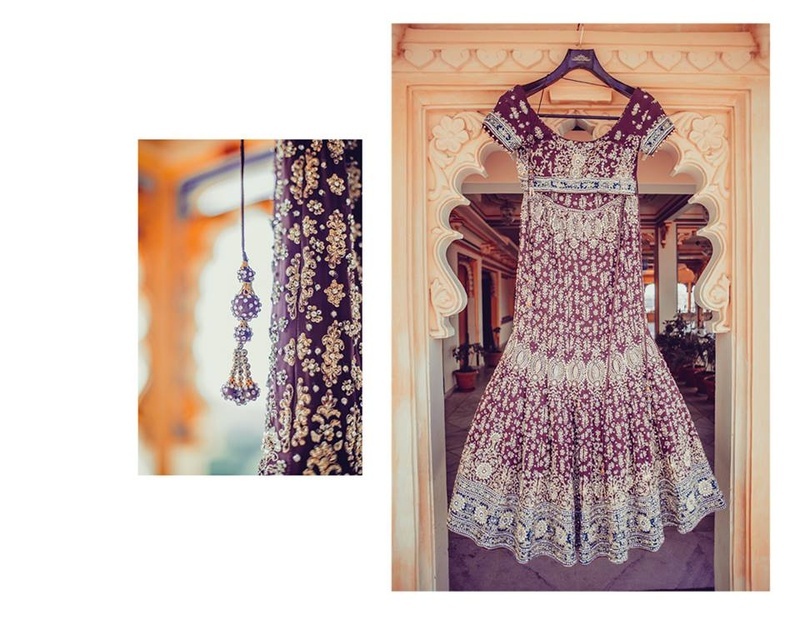 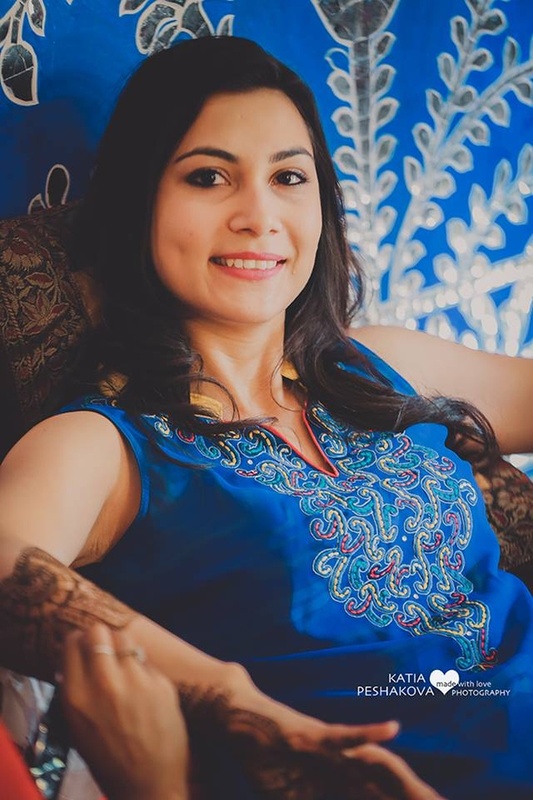 Wearing blue kurti with colorful embroidery on the yolk for her mehendi ceremony. 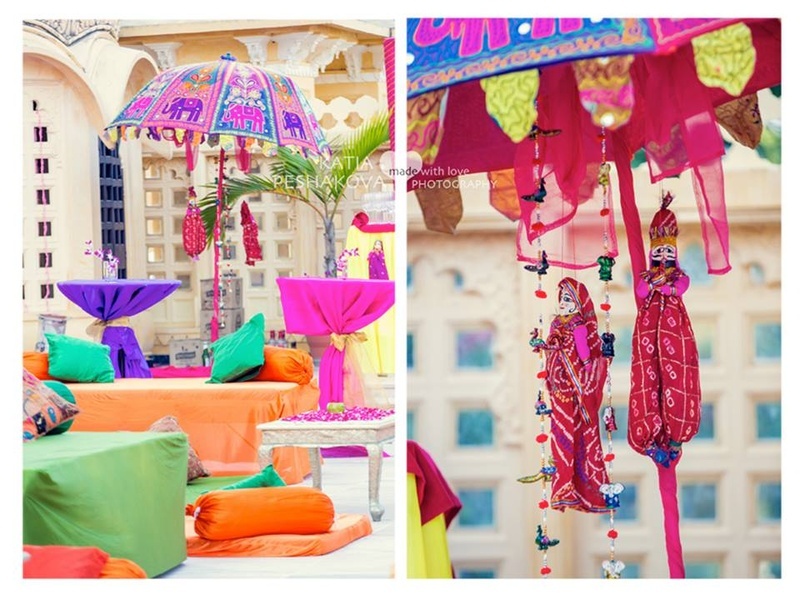 Colorful seating arrangements and hanging rajasthani dolls for the mehendi ceremony decor. 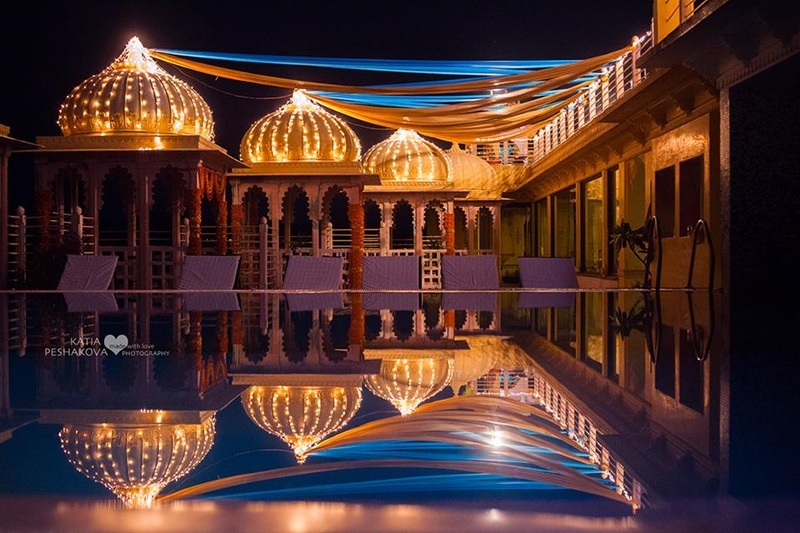 Chunda palace, Udaipur, beautifully decorated for the wedding. 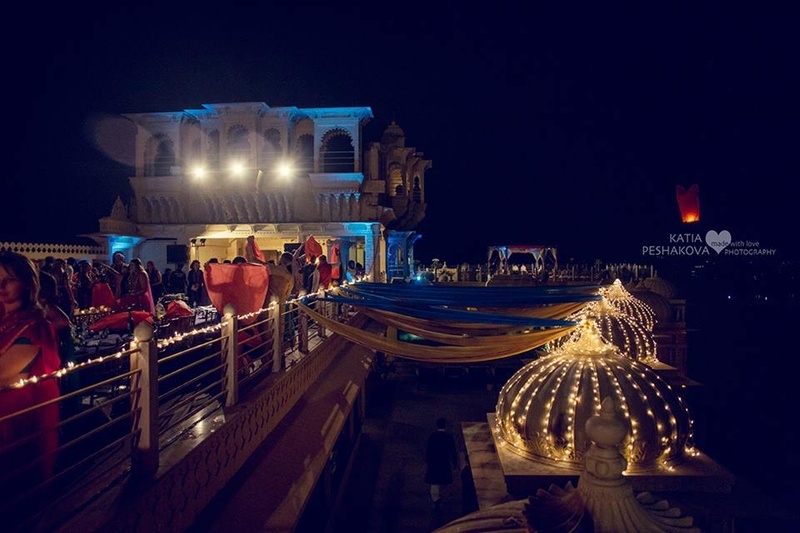 Fairy lights and colorful drape decor for the mehendi ceremony held at Chunda palace, Udaipur. 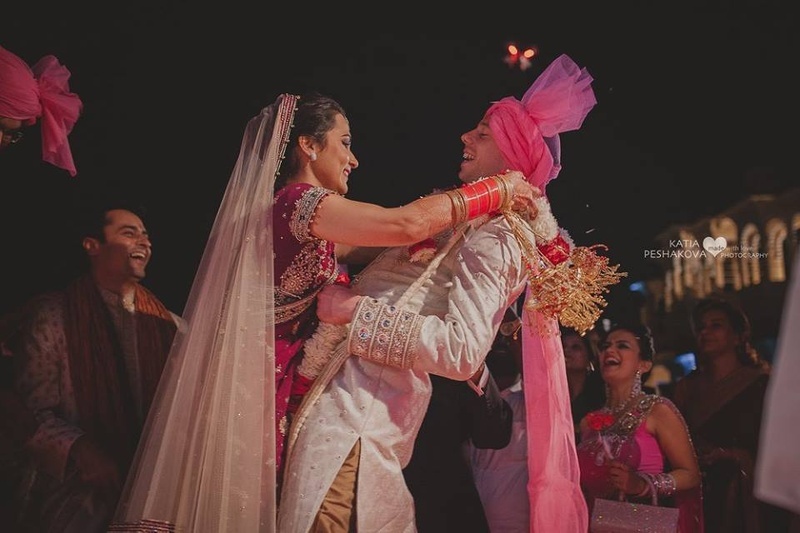 Swati wearing dark pink and white brocade lehenga and Jacob complimenting her in color coordinated outifts for the mehendi ceremony. 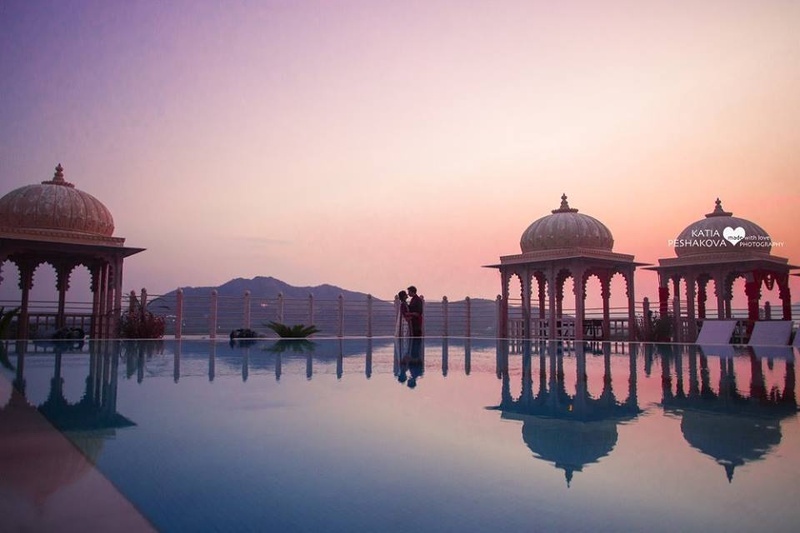 Sunset shoot held at beautiful Chunda palace, Udaipur. 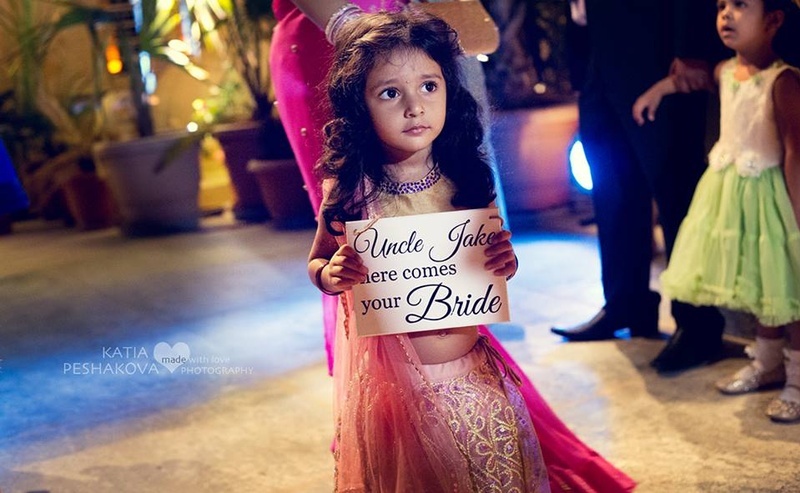 Fun and quirky wedding signage! 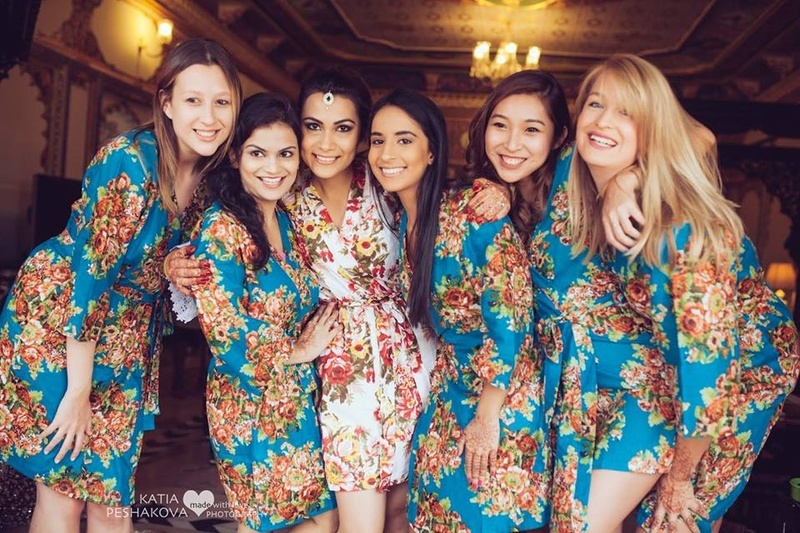 Bride and bridesmaids all dressed up in floral printed dresses before the wedding ceremony. 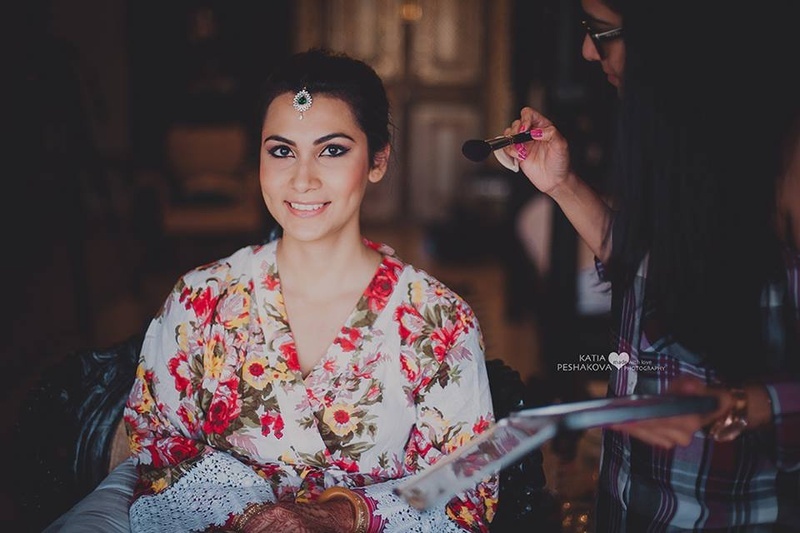 Bride Swati getting ready for the big day! 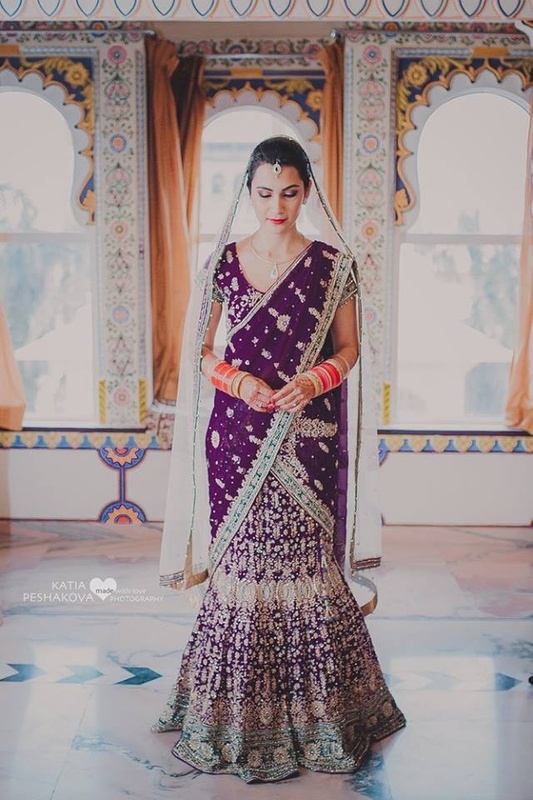 Bridal lehenga photography by Katia Peshanova. 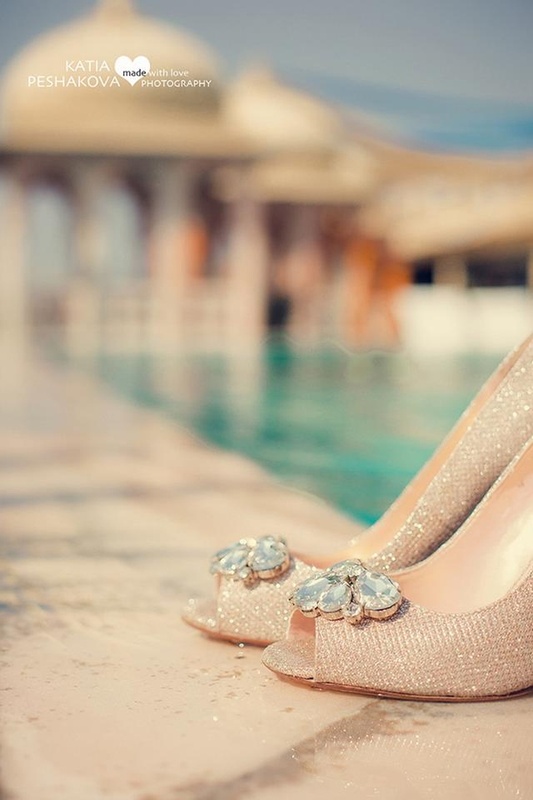 Glittery gold bridal shoes with diamonds embellished on the top for the wedding ceremony. 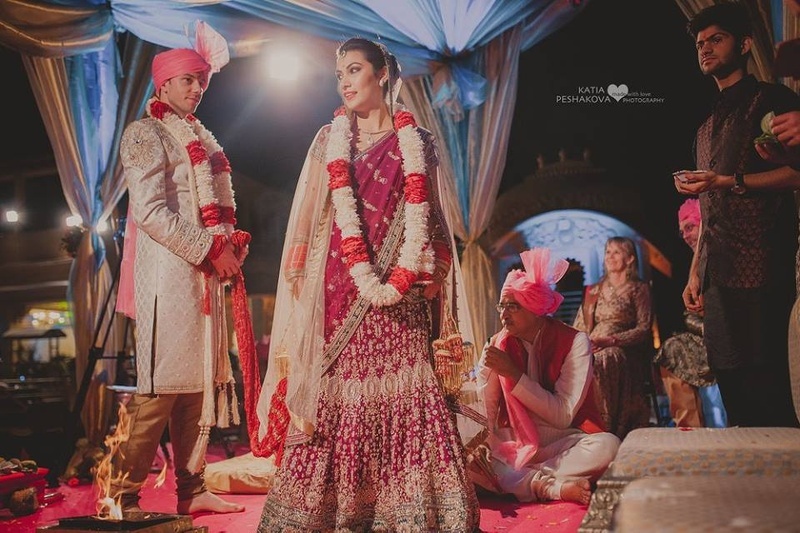 Wearing deep purple fishtailed lehenga with gold and silver thread work styled with minimal diamond jewellery. 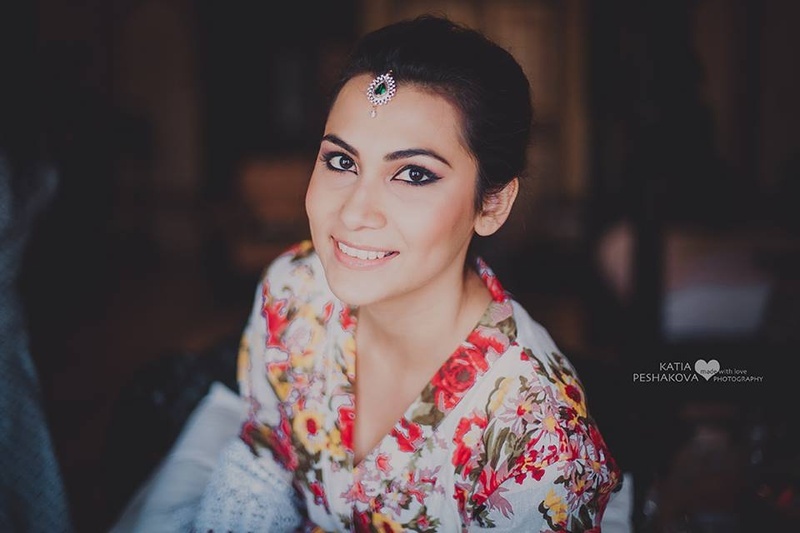 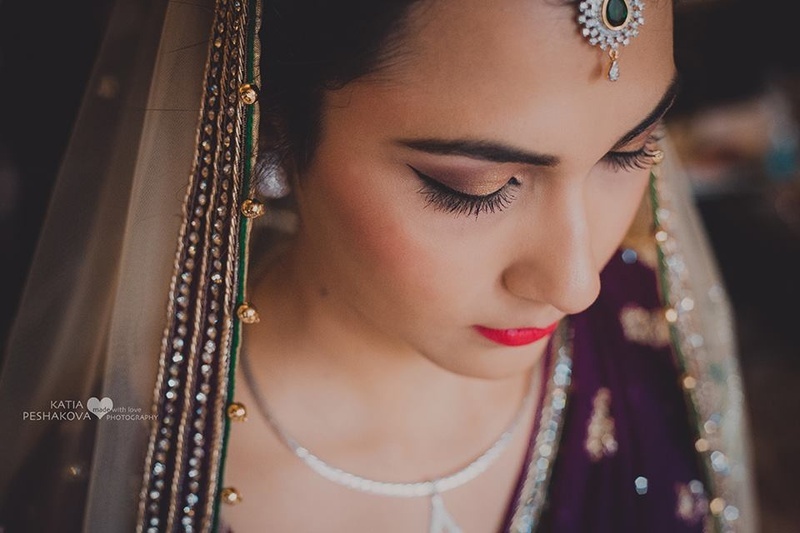 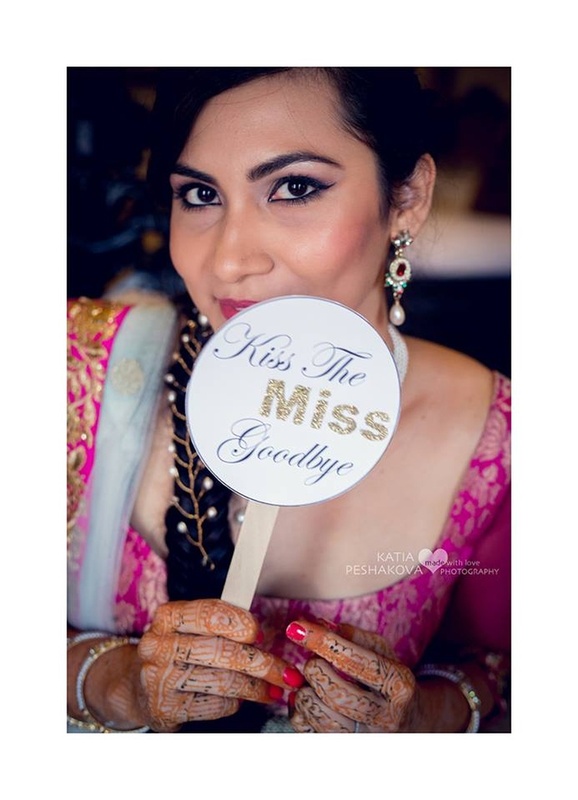 Bridal makeup by Tejasvini Chander, Delhi. 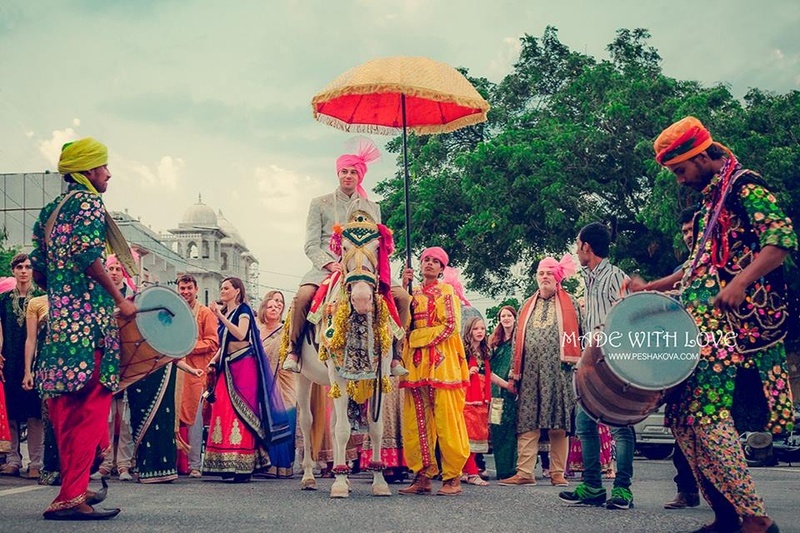 Baraatis arriving at the wedding venue with lots of colors and fun! 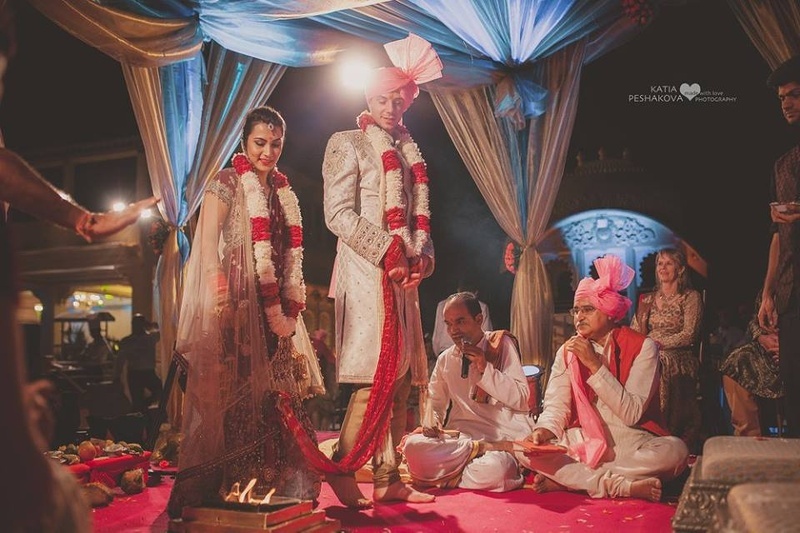 Fun Varmala ceremony held at Chunda palace, Udaipur. 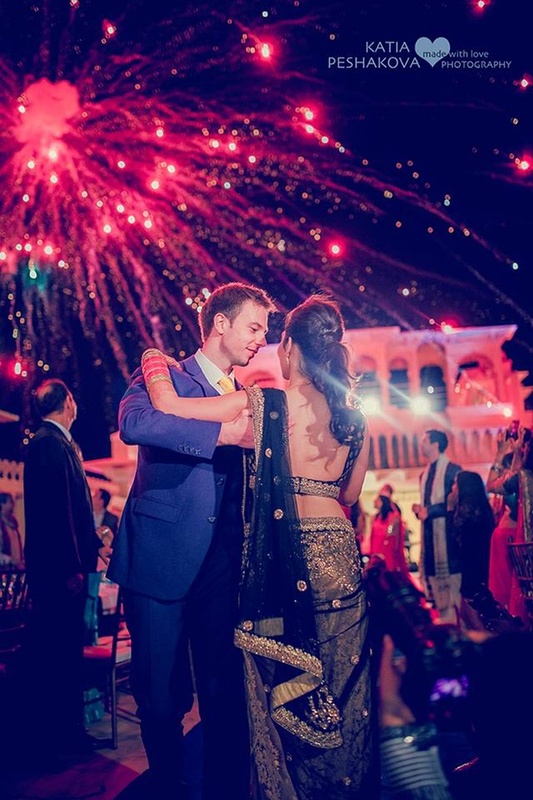 Entering the reception venue followed by sparkling fire works! 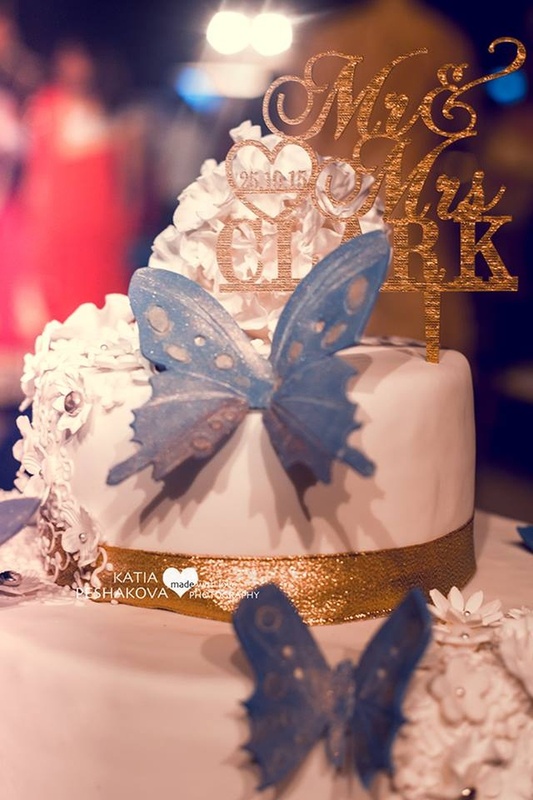 White and blue wedding cake for the reception ceremony.